Proudly Serving Anne Arundel, Howard, and Prince Georges Counties and Northern Virginia. Making your home look beautiful AND saving money by increasing your home's energy efficiency? Makes total sense, right? The only thing you need is the right company you can trust to do the job. Call Premier Remodelers today! What could be better than giving your home a face-lift? Replacing your old shingled Roofing with new Architectural shingles, replacing your old worn aluminum Siding/Soffit with new vinyl siding and James Hardie Cement Board siding and new Gutters, replacing drafty old windows with new Thermal Replacement Vinyl Windows. While at the same time lowers your maintenance AND raises your resale value. If you're thinking about repairing or replacing the windows, roof, or siding of your house in MD or VA, you owe it to yourself to discover how to get the best materials at the best price today! When you get home remodeling services from Premier Remodelers, you'll not only save money on the cost of the job, but also on your home heating/cooling bill. 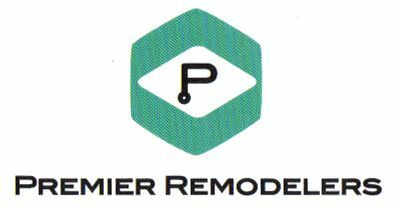 Premier Remodelers has been in business since 1990. As professionals, we're licensed, bonded, and insured, so you know your home remodeling project is safe with us! Because we're a small company, we don't have the high overhead that some of our competition has. We are able to pass the savings on to you, our customer! If you want to make your house look like new, replacing your windows, siding, or roof will most certainly do the job. Plus, you get to make your neighbors jealous! "The Top 5 Mistakes Most Homeowners Make When Hiring a Contractor & How YOU Can Avoid Them"
Professionally written report with a TON of value for you! Simply enter your info below to get INSTANT Access!